Good afternoon, space fans! We're back with another installment on all the space that's fit to chase. One of Scott Kelly's many "Earth Art" photos taken during his time aboard the ISS. This one was captioned, "#Goodnight #Earth! Make me proud." Last week, we reveled in the return of astronaut Scott Kelly, his One-Year crewmate Mikhail Kornienko, and cosmonaut Sergey Volkov from the station. Now, Kelly has had a few days to deal with gravity's achy hug and get his Earth legs back, and although he shrank back to his original height (after growing a few inches taller in micro-gravity), it seems his time on Earth has been treasured so far. Fully clothed, but what do you expect from a Navy guy? and a new appreciation for nature. Enjoying our planet today." when you leave the planet for a#YearInSpace." And he just enjoyed a nice "non-space breakfast" with his girlfriend. This was seriously hashtagged ‪#‎simplejoysonEarth‬. Before you go thinking the progression of space science on earth is all petting dogs and picking flowers and beers and pie from the Second Lady, Kelly also underwent an MRI and spinal tap this week (among numerous other tests, even including dental work) so that scientists could better understand all the changes his body endured while in orbit. On the more pleasant side, of course, albums of Kelly's famous "Earth Art" photographs continue to reveal glorious glimmers of life on Earth from a perfectly-perched perspective. Just some random Tuesday in space. You can watch an immersive retrospective on the mission here, and read NASA's rundown of it here. Unfortunately for the spaceman's fans, he intends to retire from the high-flying life, though he will still work to further the glory of space science. Kelly was quoted by Reuters saying, "This year-in-space mission was a profound challenge for all involved, and it gave me a unique perspective and a lot of time to reflect on what my next step should be on our continued journey to help further our capabilities in space and on Earth." While Kelly says his greatest challenge was missing his friends and family while in orbit, the data gleaned from his mission will doubtlessly inform future missions to space, be it the ISS or even longer-duration flights to an asteroid, the moon, or Mars. He and his twin brother Mark will continue to work closely with NASA as they gather and assess these pieces of information. We will toast our first drink on Mars to you, sir. For those interested in the future of spaceflight but who have zero capacity for piloting or operating in any STEM subject, you can enjoy a little slice of Kelly's experience by listening to his playlist for enjoying space life. 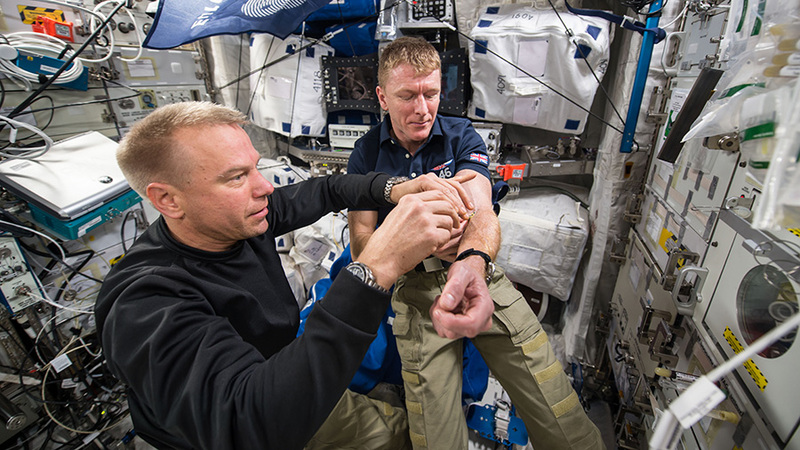 By the way, the boys still aboard aren't slacking off, up there...this week, astronauts Tim Peake and Tim Kopra installed the C2V2 communications unit to facilitate docking and communications between new types of arriving spacecraft. Cosmonaut Yuri Malenchenko worked on blood circulation and radiation experiments. They also practiced emergency escape drills and other mission-critical routine tasks. Still no alien viruses though, so that's clutch. Meanwhile, in Kazahkstan, the three new ISS crewmembers of Expedition 47-48 are preparing for their launch to the station, slated to lift off this Saturday, March 19th. NASA astronaut Jeff Williams and cosmonauts Alexey Ovchinin and Oleg Skripochka will travel in a Soyuz spacecraft from the Baikonur launch facility to the ISS, where they will serve for six months. ...mine is out there somewhere. #HistoricSpace." We'll be looking forward to their launch and sojourn in space! That's all for this week, space fans. Tune in next time to learn more about Expedition 47-48's launch, docking, and mission plans! Watch this space! 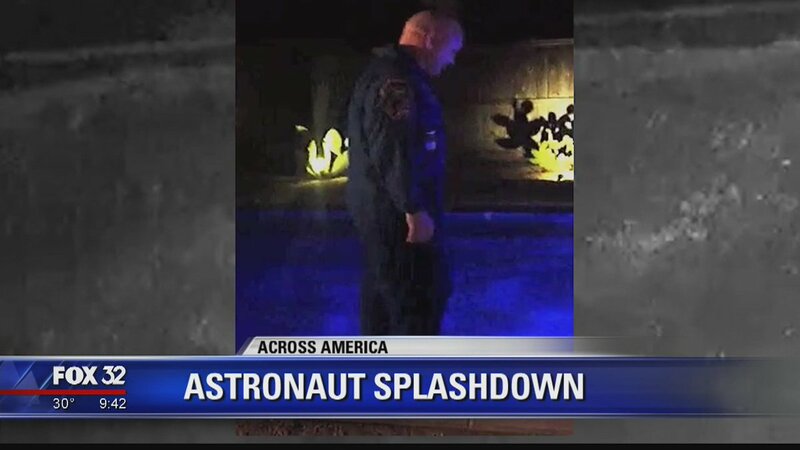 Thanks again, Astronaut Scott Kelly. You made our Earth problems not only seem small, but sometimes beautiful.